Exciting opportunity this coming Saturday (12th December) between 10am - 4pm to be part of the forest garden course and planting at GraceWorks. Come and join us, bring a friend and something to share for lunch. We have cleared the site of the tree that was rotting and some trees and hedging have been delivered ready for this Saturday. The course will show you how to grow fruit, nuts, salads and perennial vegetables as a low maintenance, highly productive garden ecosystem. 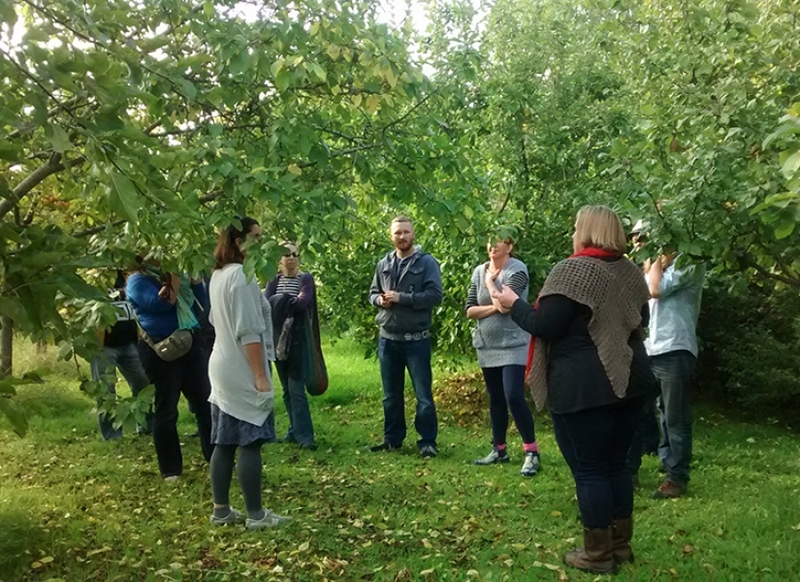 This course will start with a session talking through the design by Samantha Woods followed by getting out into the garden and laying out and planting trees, bushes to develop the first stage of the forest garden at Graceworks. Using mainly perennial plants has many benefits – for a start, they don’t need to be replanted at the beginning of each year! This means that the soil doesn’t have to be dug annually, allowing the cultivation of a rich, healthy, fertile soil, which in turn means healthy plants. An exciting event where you can see the development of a forest garden in action. Bring your boots and food to share.